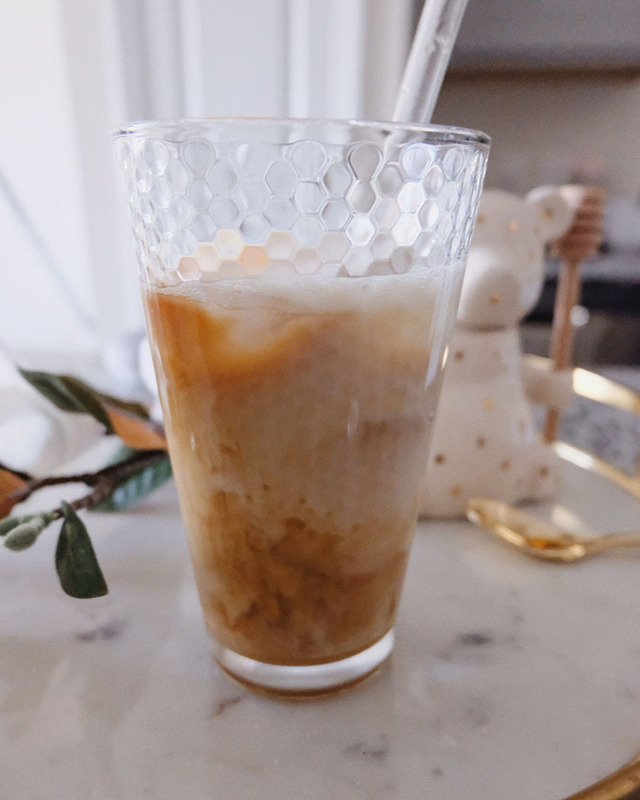 Today I'm sharing how I make my iced vanilla lattes at home. 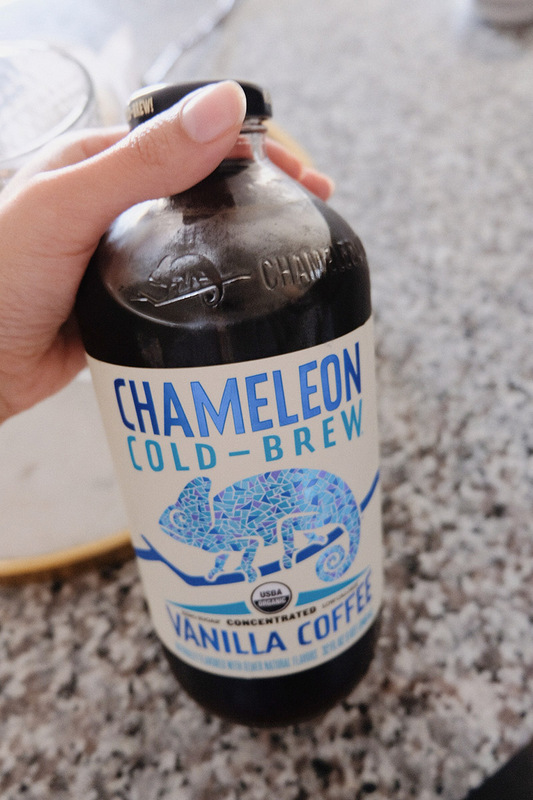 I love saving money on little things like iced coffee because five dollars a few times a week adds up quick. Let me be real with you guys, I'd rather save those 5 bucks and spend them on clothing, makeup or home decor haha. 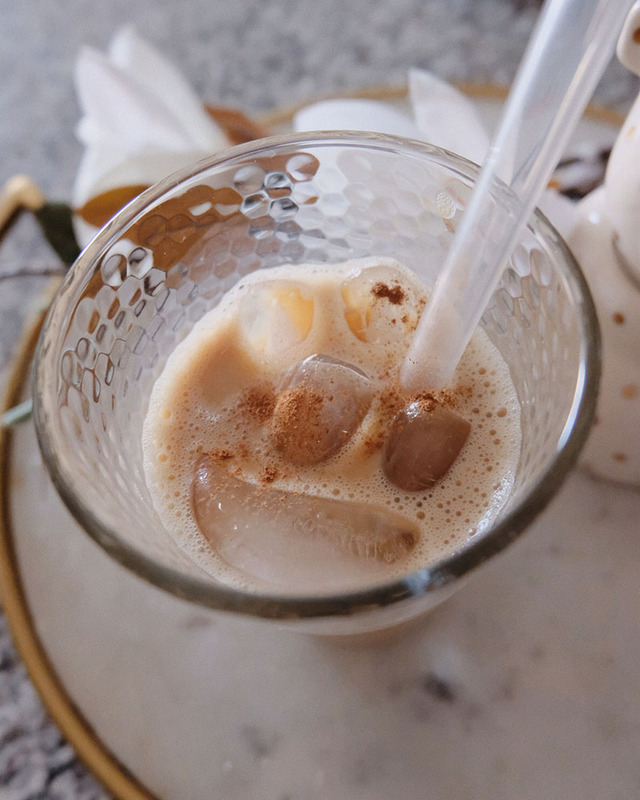 You really only need four things to make yourself an amazing iced vanilla latte at home. 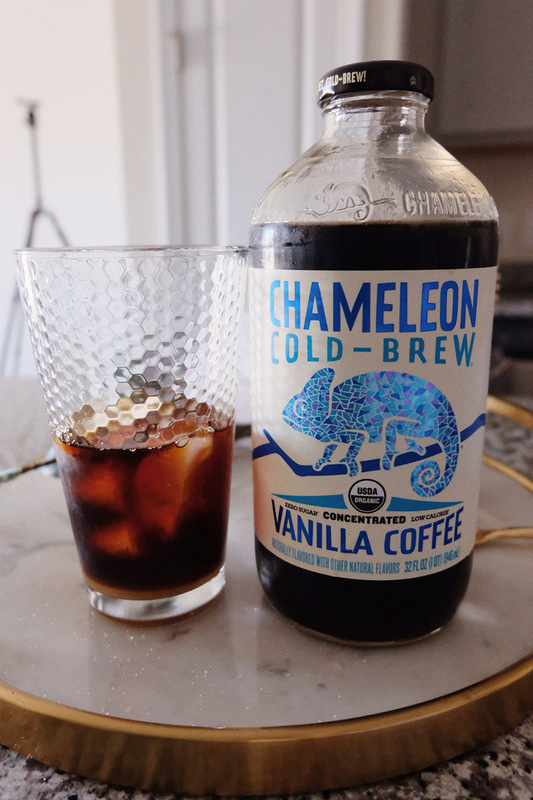 I buy the vanilla chameleon cold brew concentrate. It's 10 bucks and it's concentrated so I easily get at least five drinks out of it - it all depends on how strong you like your coffee. I also highly recommend the Oatly oatmilk - the one in the blue carton. It's life changing. Seriously. It's much creamier than almond milk and I love that in my lattes. 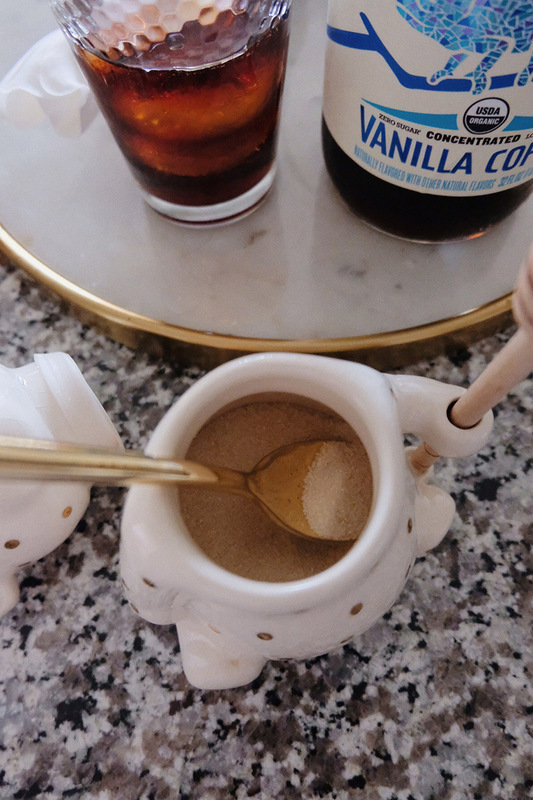 You'll also need ice cubes and sugar (or your fave sweetener). Those are the four basic ingredients you'll need. 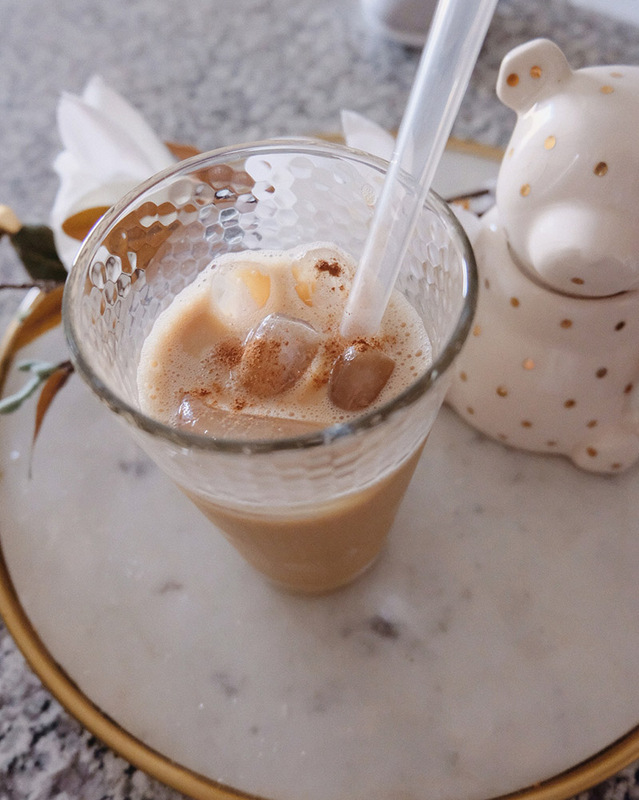 You can always spice up your latte with flavored syrups or top it with cinnamon - it's totally customizable and will save you lots of $$. I had to show you guys my little sugar jar. It's actually meant for honey but I love storing my sugar in there because it's way less messy than honey. 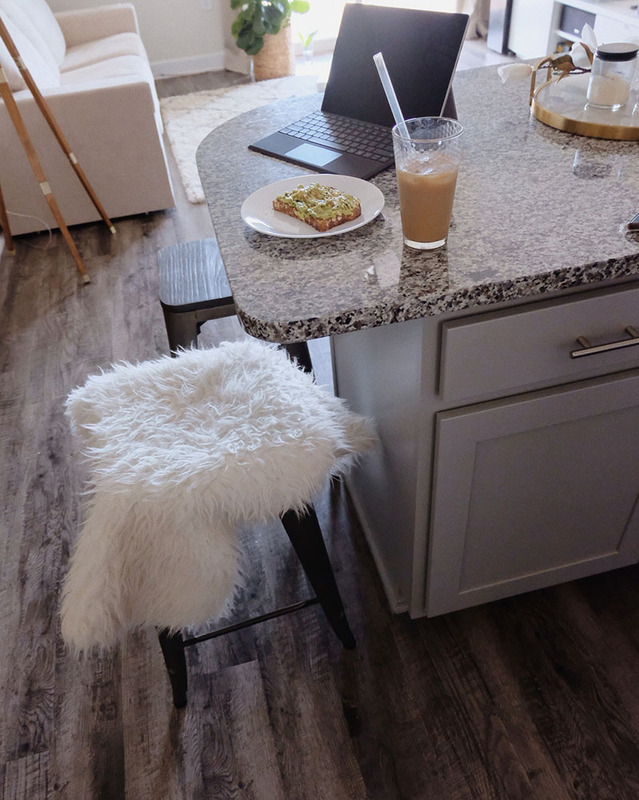 It looks adorable on my kitchen counter too. Fill up your cup with the concentrate (I fill it up about 1/3 of the way this depends on how strong you like it) and add in ice cubes. Fill up the rest of the way with milk. Sweeten it up. Sprinkle with cinnamon (I recommend this cinnamon). Add in a glass straw, stir and enjoy! 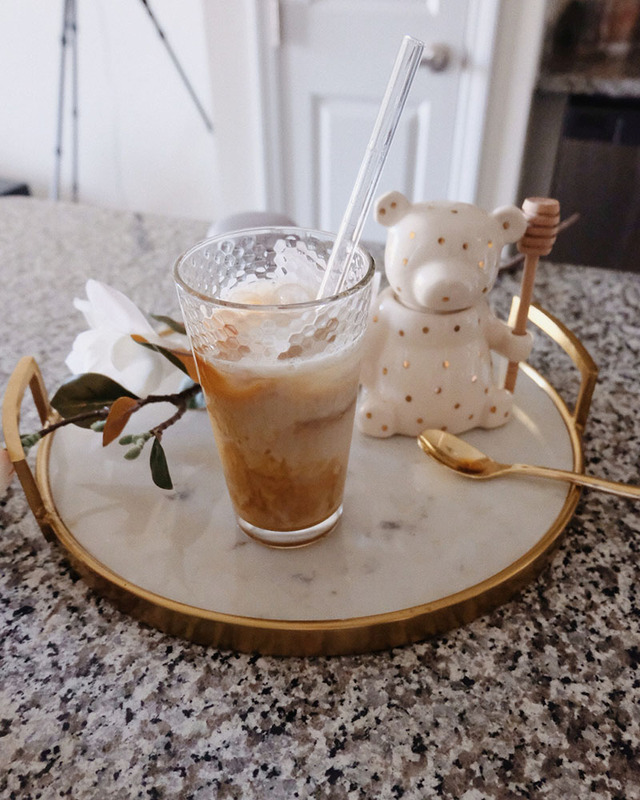 Now you're ready to enjoy your breakfast with your delicious homemade iced latte. 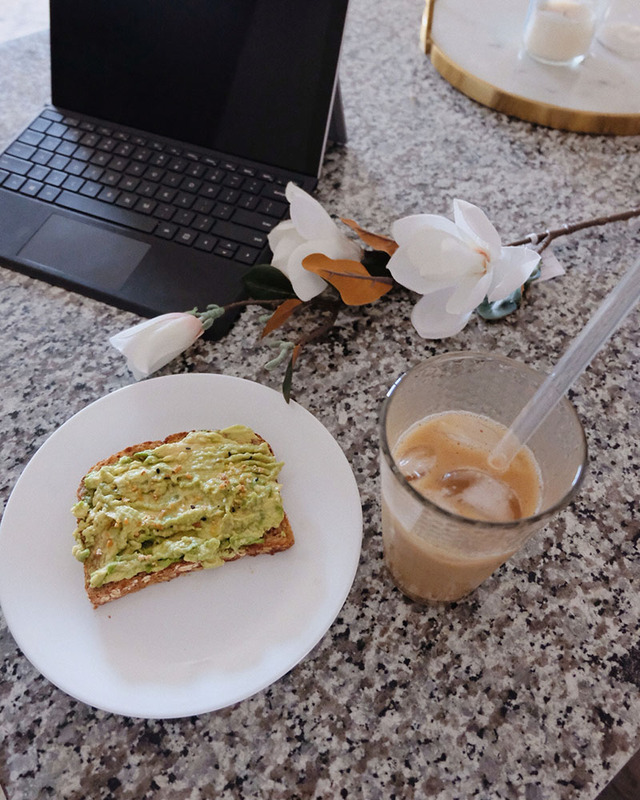 I love having avocado toast in the mornings. 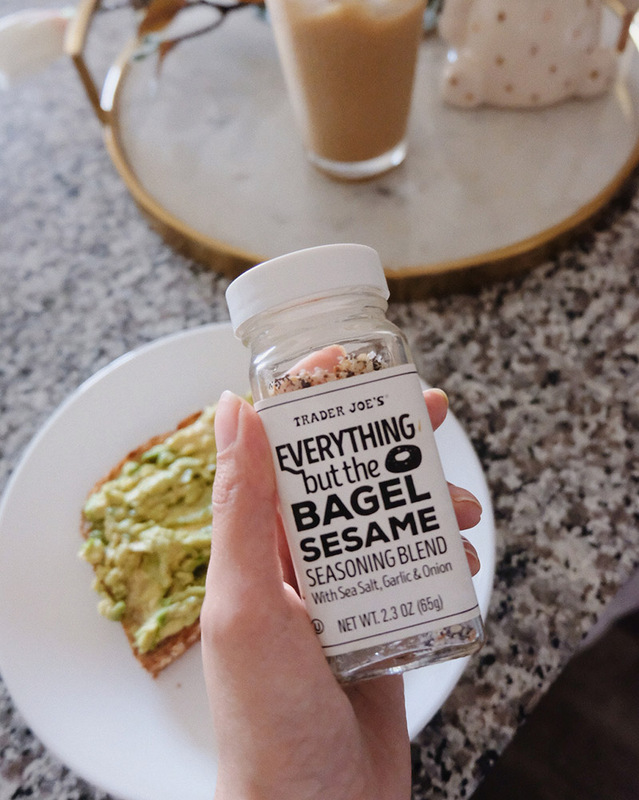 I like sprinkling it with the trader joe's everything but the bagel seasoning. And yes, it's really as good as everyone makes it out to be. I used to live about an hour away from TJs but now I'm even further away so if you don't have one near you don't worry I got you (bc I'm sure you have a Walmart somewhere near you). A few months ago I spotted this everything seasoning and it looks just like the one from TJs but obviously more accessible if you live in the middle of nowhere like me. As soon as I run out I'm pickup up the walmart version.